Note: A summary of this article appeared in the June 2016 issue of Against The Grain v28 #3 on Page 74. 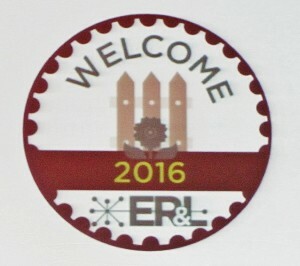 The 11th Electronic Resources & Libraries (ER&L) conference drew about 800 attendees—a record number—to Austin, the capital of Texas, on April 4-6, 2016. They represented libraries, museums, hospitals, publishers, and aggregators in 49 states (all except South Dakota) and 10 countries. The conference featured the usual mix of pre-conference workshops, plenary and breakout sessions, as well as a tabletop exhibit hall with 72 exhibitors, 27 of them at ER&L for the first time. 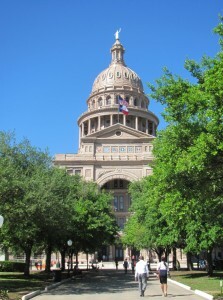 The conference venue was the AT&T Executive Education and Conference Center on the campus of the University of Texas, which has been used by ER&L for several years and is an excellent facility. The first ER&L conference, which attracted 200 attendees, was held in March 2006. It was organized by Bonnie Tijerina, formerly Head of Electronic Resources and Serials at Harvard University, and now Fellow at the Data & Society Institute, “to facilitate communication and foster collaboration among information management professionals working to manage electronic resources”. Still the convener and driving force behind ER&L, Bonnie is largely responsible for its success. Since 2014, presentations focusing on the user experience in libraries have been collected into a separate conference, Designing for Digital (http://www.designingfordigital.com/) that immediately follows ER&L. This year, there were 150 attendees at Designing for Digital. 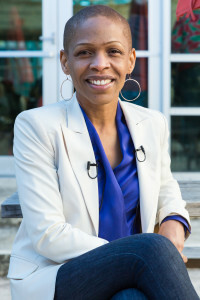 The opening keynote presented by Professor Dawna Ballard, College of Communication, University of Texas at Austin, was entitled “Finding Time: From Industrial Mythology to Chronemic Literacy”. (Chronemics is the study of time as it is bound to human communication.) She presented some fascinating aspects of time to which all of us can well relate in today’s fast-paced environments. Time has been called the silent language because what we see is only the tip of the iceberg. It is a silent non-verbal body language. Everyone knows time differently. There are even “slow cities” to which we can travel and experience time at a reduced pace (see http://www.slowmovement.com/slow_cities.php). People work a lot like machines. We can control the people and events around us. Pre-industrial or post-industrial time. Pre-industrial time is based on an event. There is a particular time to do things (for example, planting and harvesting in agriculture). All times are not the same, and life unfolds through the people and events around us. Better time management skills and tools will make you more productive. But we often do not realize that time management is usually oriented with factory work. We are not in factories! The reality is that time management is not related to productivity. We often feel that we cannot control our time. If you want to use a time management tool, choose one that fits your personality. Use it but don’t give it mythical power—recognize that it is just a way to help you feel like things are being managed so that you will be happy. It will not solve your problems and can easily lead to frustration. Productivity is a long-term proposition. Focus on what is sustainable and find your long-term productivity. It is not true that if you love what you are doing, it doesn’t feel like work. Be wary of language that tries to mask work as something else. The human relations tradition was based around the idea that people love working. But there are human limits to work. Parenting is an example: we love our children, but caring for them may feel like work. Focusing on work-life balance will lead to greater well-being. The reality is that focusing on balance can create unending frustration: if you do not find it you will wonder what you are doing wrong. The idea of balance is something that machines do; the term does not apply to human beings. We are not trying to measure which is “heavier”: work or life. In our minds, the ideal could be represented by a person standing balanced on one leg. But this would not be work because the person would not be moving. Instead, the reality can be pictured by someone standing on a tightrope and juggling several balls in the air. In such a situation, we feel that we cannot cope, get frustrated, and drop everything but the “work” ball. That seems like a choice but it really is not because we must have a job to support our families. Be mindful of your alignment and nurture your well-being. When you are out of alignment, you will realize that something does not feel right. When everything works together, we get an efficiency and economy of movement forward. If we let things stay out of alignment it will injure our bodies. We need to recognize our hidden assumptions and how they are shaping the direction in which we move forward. Altmetrics are data pulled from the social web that measure the volume and the nature of attention that research receives online. They complement other types of measurements and have the advantages that they are immediate and can help researchers understand the diverse impacts of their work. Altmetrics accumulate well before citations do and can measure not only what can be counted but also who is saying what. Most faculty members do not mention altmetrics in teaching. In the tenure and promotion process, LIS faculty use traditional measures like journal impact factors to document their achievements. Librarians are more likely to use newer and non-traditional measures: altmetrics, downloads, and page views. To select a venue in which to publish reports of research, few of the respondents consider any metrics. When conducting research and reviews, they used them even less often. A few respondents used altmetrics occasionally and a few used citation counts. Librarians doing collection development are not yet considering altmetrics. Altmetrics are not used because they are still new and are a complement to other metrics. Making informed collection development decisions. E-resource data is volatile, and if it is not up to date, users will not access the library’s resources. No library can manage e-resources on its own—working with multiple vendors is challenging, tedious, and time-consuming, and often licensing terms must be entered into the database manually. Publishers have their own editorial policies, and often deliver inconsistent and erroneous metadata. ProQuest recently did a study of the 10 databases to which libraries frequently subscribed and found that it requires about 81 hours/month to keep them updated. ProQuest and ExLibris both have legacy databases. As part of their integration, a new combined knowledge base will be built. It will be relational, designed to support the future of libraries and research, and provide for interoperability and “temporal logic”, thus allowing studies on the development of the database over time. An extensive normalization effort will be required. (Normalization unifies variants of titles and other data.) The database will have to be frequently updated: every day in the case of e-books. Highly successful partnerships with Jisc in the UK and Bibsam in Sweden will allow ProQuest to add open e-book content to its knowledge base. The database will be built on ProQuest’s unique assets and will integrate electronic and print resources and digital resource metadata. It will break down existing silos and enable faster and more efficient responses to changing information market needs. The key to the success of the partnerships was constant communication among all the parties. Steven Harris and Molly Beisler from the University of Nevada, Reno, traced the evolution of the organization of the library’s technical services operation over the last 10 years. Formerly there was a single resource for all records, and all formats for a title were on the same record, which took a lot of effort to maintain. Managing e-book records was especially challenging because purchasing and access models were constantly changing. Discovery services had a large positive impact; today, a single librarian can coordinate access and discovery, even though the need for e-resource management has greatly increased. When e-book records were loaded into the catalog, the impact of discovery services on their usage was particularly striking: from 448 online views in 2014 to 8,286 in 2015. Streaming media resources have started to come into the library, and they have presented more complex issues. The platforms are variable, and there are different access models and short-term licensing problems. Discovery services are the primary method of access to resources. How many knowledge bases can be maintained? Who should do it—the vendor or the library? A variety of devices are being used to access content across different platforms. Currently, the main pressure is to improve the user experience. Holdings managed by automatic feeds are imprecise. How can we explain this to users? Do library staff members have the skills to analyze this environment, and do we have the budget and time for training? Library users want everything to work as smoothly as it does in Amazon or Netflix. The major concern for the future is what will happen with industry consolidation. Will all products work together seamlessly? Tina Baisch from the Indiana University-Purdue University Indianapolis (IUPUI) library said that strategic directions for IUPUI’s collections have changed from developing research-level special collections to creating options that increase the available resources. To do so in more cost-effective ways, acquiring journal articles through purchase on demand (POD) when it was estimated to be more economical than a subscription was investigated. Develop good relationships with collaborators. Be prepared for technical setbacks. Lettie Conrad, Executive Manager, Product Analysis at SAGE, said that SAGE strives to understand the experiences of its readers and the pathways by which they discover and access content, especially beyond the search box. When considering serendipity, there is an important distinction between the chance encounter itself and realizing its relevance or importance, then turning it into insight. (Think of Alexander Fleming’s discovery of penicillin. It took understanding to recognize that the substance growing on a contaminated Petri dish had antibiotic properties.) Publishers are often more focused on the first aspect of serendipity, the stumbling upon something new, but they are less concerned with the second aspect, where the “ah-ha” moment happens. Serendipity matters because online systems allow searchers to reframe their information need as they proceed. Some useful information discoveries are unintentional, and serendipity delights users. Designing search systems for serendipity may be the Holy Grail of the search experience. Unplanned or unexpected content discoveries happen when a user follows a link in an email alert, follows the tree of citations from a particularly meaningful paper, or acts upon recommendations. Computer-generated recommendations such as Amazon’s “also bought” messages have become very familiar to online users, and a survey of SAGE users found that while an impressive 90% of faculty and 78% of students click on recommendations, they are not perceived as a discovery technique. Some sense of the authority of a recommendation, a sense of trust or recognition of the provider or publisher, and especially the relevance of a recommendation to their research were important factors for both faculty and students. Library websites and subject databases were also well regarded. SAGE Recommends suggests items for further reading within the context of a book chapter, reference entry, or streaming video and refers users to related reference material hosted by SAGE. The feature brings together the knowledge mined from SAGE’s journal articles, book chapters, reference works, etc. It enables a serendipitous research experience across all of SAGE’s content platforms, leading students and faculty to uncover relationships between topics across the social science disciplines. What would you do if you had 9 months to build a complete digital medical library? That was the problem that Elizabeth Lorbeer faced at Western Michigan University’s School of Medicine. The School is just two years old, so it has a born-digital strategy and no archival mission. Most of its staff reads journals published in the last 5 to 10 years and primarily uses tablets and smartphones for access; if they need to read an article from an older journal issue, they order it from a document delivery service. The “library” has no fixed space and is everywhere. The same is true of the librarian. New programs are attracting students at all learning levels. Learners are increasingly using mobile devices. We have fewer staff available to organize and manage collections. We must rethink how we buy content. The digital library that Lorbeer designed is all digital, and its website is designed to be mobile-centric. Products from Serials Solutions run the “back office”; there is no ILS. Springshare’s “Lib Guides” are used on the public website. The Serials Solutions knowledge base is used to identify and active open access collections. The collection began with access to 10,000 e-journals and 17,000 e-books and has grown to about 74,000 unique titles through shared systems. Articles not available in the collection can be ordered through the library’s subscriptions to the Copyright Clearance Center’s “Get It Now” service (http://www.copyright.com/rightsholders/get-it-now/), the R2 Digital Library for health science professionals (http://www.r2library.com/), or by renting articles from ReadCube (https://www.readcube.com/). The Summon service was added to the library in August 2015, and ProQuest’s Intota (http://www.proquest.com/products-services/intota.html) was added in March 2016. The library was heavily marketed to students, and use has grown so much that Lorbeer is planning to hire a Digital Strategist. She is also considering a partnership with the main university library to be able to use its access to ExLibris products. Providing access to both is not possible, even for Harvard University, so purchasing decisions need to be made with care, and clear guidelines are necessary. Users want and use both printed and electronic books; the challenge is to better understand user behavior. Harvard has a huge collection of nearly 30,000 books, over 20,000 of which were published before 2012. Sullivan and Leach wanted to compare usage of the same content in printed and electronic form but discovered that they were not able to directly make the comparison because of variations in titles, classifications, and publishers. Recently, however, the library received a grant to purchase the entire Project MUSE collection of e-books, which duplicated a substantial portion of the library’s printed book collection, so they were able to conduct their study. The general patterns of usage for both formats align closely. The study also compared what content was used and what was not in several ways: print-not-electronic, electronic-not-print, both, or neither. Most of the books in the collection were used at least once. Only 5% of the titles were used in both printed and electronic formats, leading Sullivan and Leach to conclude that e-books were not being used for discovery of printed books. E-books are having an effect on printed book usage, but not as much as previously thought. Circulation studies have shown that print use tends to decline with the age of the book; there was a 35% decrease in use during the first 3 years of publication. Users in the humanities and social sciences do not want the library to decrease their purchases of printed books. How do we work with publishers to avoid purchasing the same content twice? How can we serve users in different ways; what will be the effects on circulation desk staffing? What will be the effects on research, teaching, and learning? How can we shift money to purchasing e-books? Athena Hoeppner, eResources Librarian at the University of Central Florida, described the pain points in managing e-resources and how to cope with them. When things go well, e-resources have many benefits for users, but access is complex. Getting data into the systems is not simple; many systems have numerous features that are difficult to use. The major e-resource management priorities for librarians include workflow management, subscription management, acquisitions functionality, and interoperability with other systems. The magnitude of these tasks is illustrated by Hoeppner’s environment: her institution has 9,655 electronic subscriptions to manage, and the number of titles is growing. She gets about 30,000 emails a year announcing changes, costs, rights, etc. An e-resources management system can help cope with this load, but it does not reduce the need for manual title-by-title decisions and processing. Roen Janyk, Web Services Librarian at Okanagan College, concurred with Hoeppner and said that we often underestimate the impacts of user behavior. Users have a new kind of online literacy and tend to scan pages very quickly. Libraries have many silos, which do not work well in such an environment. When users are overwhelmed by too many options, they simply go to Google to find information. We need to create responsive interfaces to information so that the devices used for access become irrelevant. Users should be able to easily report issues with the system; positive evaluations of systems are tied to good interfaces. Everything should be presented on a single page if possible. We also need flexibility so that systems can work together, and we need access to system settings for customization. Accurate holdings information is also important. Open systems will give us interoperability and the ability to manage our knowledge bases, and standards will promote collaboration if they are adhered to. Oliver Pesch, Chief Product Strategist, EBSCO Information Services, said that getting the right data for decision making is difficult because library staff works with many systems. Too often, the data is in the wrong place, and there is a wall between the data and where the staff works. For example, staff may be working on subscription management, but the data they need is housed in the financial department or on a publisher’s website. We need to make information available through the use of APIs. Usage and holdings data should be added to screens in the acquisitions, book ordering, catalogs, and ILL modules of e-resource management systems to help staff make their decisions; we need to support initiatives for this and press vendors to make it happen. Discovery services have value to libraries and publishers. Publishers want usage of their systems to go up, but if the discovery service helps users find relevant content more efficiently, usage may actually decrease. Vendors must respond to both of these needs. Components of value of discovery systems include effectiveness, efficiency, comprehensiveness, and integration with other library tools. They affect not only usage but the amount of it that comes through the library. 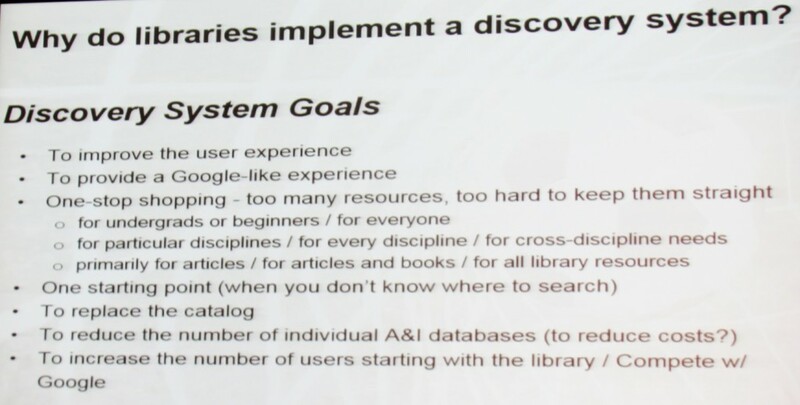 Discovery systems increase usage of siloed content and may bring users back to the library’s resources, leading to fewer questions from users about basic searching, which will free up reference librarians to focus on higher-level consultations. Is there a future in search and content for libraries? What value is the library adding? What would happen if we just cede discovery to Google Scholar and similar systems? Do we even need to be using discovery systems? What is the promise and threat of open access? Make sure that information is available everywhere and that it has maximum functionality. Get to students where they are on the platform of their choice (80% of consumption by younger users is via a mobile interface), and make sure data is not confined to the library. Provide a simple and intuitive design of the interface. What can we do to make sure that access is simpler through all interfaces? Analyze students’ behavior and usage to facilitate a better interaction. Take risks, step out of our shells and try new things. If they do not work, try something else—today’s users are very accepting. Students will use library services because of personalization and serendipitous discovery. How can we use linked data to leverage this? 1Science OA Solutions (http://www.1science.com/) finds all OA papers by an academic author wherever they are archived and allows users to easily download them and their metadata. Zepheira (https://zepheira.com/) allows a user to search for a full picture of a university’s content regardless of where it resides. It is a founding sponsor of the LibHub Initiative (http://zepheira.com/solutions/library/libhub/). Yewno (http://corp.yewno.com/) is a discovery firm based on ideas. It allows users to find associations between concepts and display them visually through its Hyperassociation of Related Instances (HARI, http://search.hariscience.com/) tool. What do you do when you observe excessive use of your e-resources? 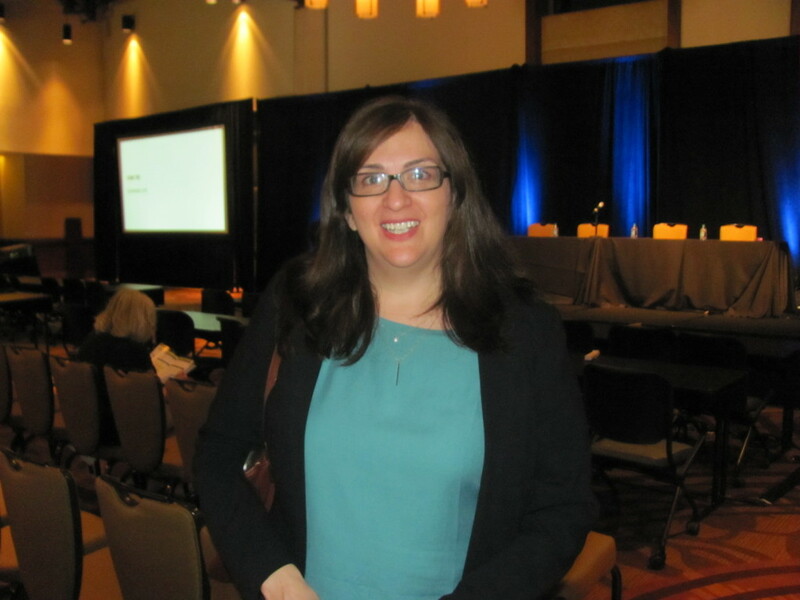 Laura McNamara, Electronic Resources Librarian at Thomas Jefferson University (TJU), was faced with that situation when a vendor detected unusually high downloading of items from a database to which TJU subscribed. The vendor sent log files to McNamara, and she compared them with the EZProxy logs (see https://www.oclc.org/ezproxy.en.html) from her system and was able to identify the account responsible for the activity. An intruder was able to access the system because security was more than one person’s or department’s responsibility and therefore was lax. Previous security procedures must be adapted to today’s changing environment. It is important to proactively monitor logs rather than wait for the vendor to contact you. View server status to find open sessions and terminate them if necessary. Learn how to communicate technical language to non-technical staff and train them to find intrusion attempts by detecting multiple failed logon attempts. Suspicious events include use far above what is possible with ordinary browsing, all downloading directed to PDFs, sessions with no browsing activity. It may be necessary to block a single user or even all attempts from a country (with exceptions for international students or staff travel). Document everything; sometimes you must prove that you have not had a security breach. Establish security procedures before a breach occurs. Communicate with your users and recognize that libraries are at risk. Audio and video content is beginning to appear in libraries, and it has its own set of issues, which were described by Chad Hutchens, Head of Digital Collections at the University of Wyoming (UW). UW has numerous YouTube channels and a campus TV station for content that was created from public lectures, speaker interviews, performances, etc., but there was no central repository, inventory, or catalog of it on campus, so users could not find or access it. Traditional descriptive cataloging is not sufficient for video because there is much that it cannot capture, such as facial expressions, voice tones, etc. Hutchens began a video collection system to provide open user access, enhanced discovery, and preservation. He noted that we preserve things so that people can come back in the future and do things with our material that we had not thought of. In the case of video, transcription of the audio portion is necessary to be able to search for content within it. Transcription is time consuming, costly, tedious, and thankless, and it is difficult to do it automatically. There are several systems available to process video, such as Clarify (http://clarify.io/), Audiogrep (https://pypi.python.org/pypi/audiogrep/0.1.2), and the Chrome Web Speech API (https://www.google.com/intl/en/chrome/demos/speech.html) with Virtual Audio Cable (http://software.muzychenko.net/eng/vac.htm). Accuracy of these systems varies; the goal is to produce fully searchable synchronized transcripts that offer many access points for users. There are also numerous hosting options, both open source and proprietary. Nobody likes to be the bearer of bad news, but sometimes it is necessary. Richard Wisneski, Assistant Director, Cleveland State University Library, said that when downward trends occur, library administrators, provosts, and faculty members need to know. His advice is to provide an honest and transparent assessment of the collection’s strengths and weaknesses, deliver an accurate measurement of what users are and are not using, and identify the most important resources. Analyze past stories that have been told to your audience and share information on how the library compares with its peers, its cost per use data, and core titles. Retention decisions should not be based solely on cost per use data because platform design affects usage, subjects and content types are not the same, and usage spikes may be anomalous—see Bucknell’s article in The Serials Librarian. Assessment factors include citation analyses, ILL requests, the age of the collection, peer comparison data, and circulation statistics. Wisneski approached the chemistry and history department liaisons to the library and was asked to address the entire faculty. He presented a single-page handout of data, discussed proposed cancellations, and asked them for their comments, thus engaging them in the conversation. The result was the creation of a mutually satisfactory collection development policy for the departments. Some information professionals, particularly those in academic libraries, conduct research. A panel of three of them responded to questions posed by the moderator about related issues; here is an edited transcript of the conversation. What is your role as a researcher rather than someone that helps others in their research activities? Research is a requirement for promotion and tenure, so think about members of the committee evaluating you. Make it easy for them to understand what you do and how it is similar to what they have done in the past. Many researchers are very open to having a librarian collaborate with them. Research allows me to bring expertise to them and not be seen as simply a service person. Partnering with researchers helps me to learn about ways I can improve my own work. It is important to fill in the gaps of knowledge in our profession. It is an opportunity to share ideas, publish results, and be an active member of the community. How do you get support for your research (emotional, funding, or time)? The institution supports my time for research, but there is never enough. The research community outside the library shares common experiences in research. You may need to seek out support. Have open conversations with supervisors and get good mentors to give you honest feedback about what will and will not work. Ask for time off to do your research; get the Dean’s support. Advocates outside of the library are invaluable. Get quick feedback from student assistants. Ask them to ask their roommates who don’t work in the library (but treat their advice with a large caveat!). Market yourself heavily. Call yourself “library faculty” to get better recognition. Take opportunities to make presentations on campus and convey that you are doing research. How would you like to change the research environment at your institution or in the profession? There are many surveys conducted in the library profession; I would like to figure out new methodologies for getting results. We have unique opportunities to be a different kind of partner with a different skill set, so we need to be better advocates for ourselves. Be a trailblazer for doing more research; inspire your colleagues. Share what you are working on and change the perspective about what librarians do. Don’t be afraid to ask people to give you advice. Faculty members love research; it’s their life blood! One of the highlights of the final day of ER&L was a double-length session focusing on how users discover and access scholarly information. It featured three speakers representing a library, publisher, and aggregator. Lettie Conrad, Executive Manager, Product Analysis at SAGE, said that understanding the user experience is critical to making product development choices. Many publishers do not have library and information science training, so they need to conduct research to understand the academic consumers of their content. Products are in the continuum of workflows; Conrad suggested using a “Sankey diagram” to chart them (see https://en.wikipedia.org/wiki/Sankey_diagram). In a study of graduate students, aggregator and publisher websites were the dominant resources used; open websites gave searchers the widest array of options. Although 20% of the searchers started with mainstream tools, they were aware that they needed to filter their results. Dedicated resources served their purpose of driving users to content. 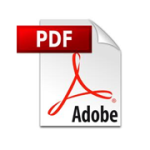 All the surveyed searchers used PDF versions of documents and did not interact much with the HTML versions, despite the large effort that most publishers devote to creating them. For most students, easy and efficient import of PDFs into a personal digital library was necessary. Virtually all searchers managed their saved documents manually because they found that products such as EndNote or RefWorks did not integrate easily into their workflows. And once they downloaded an article, they usually did not double check to see if it was still relevant before publishing their results. For students using scholarly document management tools like ReadCube or Mendeley, the most popular benefits were efficiency, no cost, portability, and a central place to store their documents. The tools are used to organize and store documents, manage citations, and search within the documents. About 30% of interviewees noted that their search strategies change throughout their career and that broad keyword queries are no longer common for them. Instead, they favor the process of following citations from seminal articles and maintaining targeted alerts for new relevant material in key journals in their field. Beyond search, researchers tend to rely on email alerts, citations, and recommendations from colleagues or online systems for content discovery. Recommendation tools are popular and are not thought of as a discovery technique. Serendipity is also important and increases user satisfaction; designing systems for it may be the Holy Grail of the search experience. For SAGE white papers on serendipity and other relevant subjects, see http://bit.ly/23Z99d4. Conrad was followed by Deirdre Costello, User Experience Researcher, EBSCO Information Services, who said that we should be focusing our energy on the search results page. Google and Wikipedia are the foundation of how students do research. Students have competing priorities: jobs, socialization, and daily life activities; therefore they typically work on assignments just before they are due, so they do not have time to do a “deep dive” into searching. We are in an “eye byte” culture—the way we read is changing our attention spans, which are getting shorter. If students do not want to engage deeply, they resort to skimming and scanning and do not read everything. Students trust Google to surface the most relevant results first. Typically, they only look at the first 5 results, and if they do not see anything relevant, they change the search. They scan results, look for their search term in the title of the snippet, and use Google to create a “constellation of buzzwords”. Sometimes they use URLs to judge a site’s credibility; .org and .edu are good when writing a paper, but .com sites are taken with a grain of salt. What do these observations mean for libraries? Students understand that what is found on Google cannot be used to compile a bibliography, so they must move to academic resources. They don’t want the library to be like Google; instead, they want it to be a place where they can find relevant content and not be criticized for using it. They generally go directly to the library’s search box, do a search, and look for search terms in the title of their results. Authors and databases mean little to them. Lisa Hinchliffe, Professor/Coordinator for Information Literacy Services and Instruction at the University Library, University of Illinois at Urbana-Champaign (UIUC) discussed user-centric principles for library service development. She noted that UIUC’s library is big; it has an annual collection budget of over $16 million, with access to almost 800 databases and over 92,000 online journals. Its users consume information voraciously using its discovery service (Easy Search—see http://library.illinois.edu), which provides a single search box and presents results either as a classic list of hits or a “Bento display”. Transparency, predictability, and discoverability are important to UIUC’s users. They want seamless digital delivery, coherent pathways to information, an interface that is as simple as possible (but not simplistic), and easy access to “My Everything”. They want the system to treat them as intellectually robust users. Analyses of Easy Search transaction logs of 1.17 million searches found that about 21% of searches used a suggestion, about 57% were single query sessions, and about 6% of the sessions had more than 6 queries. Since 2008, query lengths have grown from 3.58 words to 5.11 words; the number of known item-searches has increased; and there has been an increasing number of “cut and paste” searches (where the user has cut the search terms from another website and pasted them into the search box). Conclusions from these analyses are that Easy Search is aligned with the library’s values and expectations, it provides better content coverage than commercial discovery indexes, and it better meets users’ expectations and desires. Detailed reports on many of UIUC’s analyses are available at http://www.library.illinois.edu/committee/ddst/discoveryresearch.html. We live in an area of demographic explosion. The face of young America is changing; some teens are exposed to media as much as 13 hours a day. Usage of platforms other than Facebook is increasing. Young people bring a different set of expectations when they come to libraries. 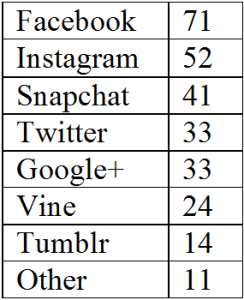 Girls dominate visually-oriented social media platforms; boys are more likely to play video games. The digital divide is not only about access to technology. It also includes access to social and learning resources that support an ability to use digital media to design, innovate, and intervene in the world around them. Young people have increasing aspirations of doing this. Design disposition. Young people want the internet to be a resource for technology. When asked what they would like it to do tomorrow that it cannot do today, they said they wanted to be taken to a place virtually as if they were physically there. They also want the internet to be a resource for technology that will allow them to create and build something. The “Age of Average” is over. Change is constant. What should we be doing today to prepare for the skills and dispositions of tomorrow? Being average is no longer good enough. We are in a world of two classes of people: those whose skills are being replaced by smart machines and those whose skills complement smart machines. We need to help our kids develop complementary skills. Design literacy. What does it mean to be literate in a knowledge-driven economy or in a world where smart technology is pervasive in our lives? It is the capacity to respond to adversity of complexity. We must bring those skills into learning spaces that we create. Are your library and electronic services built to catalyze design literacy? Does your space welcome “design disposition” (making and sharing in a media world)? Do you think of libraries as social hubs and laboratories for producing knowledge? Think of them as spaces encouraging collaboration and interaction, not the traditional quiet study space. Do your services make learning authentic, resonant, meaningful, and production-oriented? Young people use resources that libraries make available and create their own learning ecology. Libraries provide a vital function in a learning ecosystem. 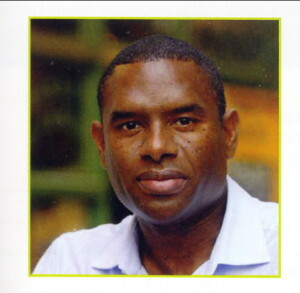 For further information, see Watkins’ book, The Young and the Digital (http://theyoungandthedigital.com/) and his website http://doinginnovation.org/. The 2017 ER&L conference will be in Austin on April 2-5. ATG "I Wonder" Wednesday: Do you offer self publishing services?